For as long as I can remember, I’ve always had a love for stationery products. Growing up, my favorite time of the year had to be the back-to-school season. It meant I was able to go to Warehouse Stationery (a store similar to Staples/Office Max) to purchase stationery goods. Throughout the years, I’ve come across some amazing products that have helped me with design, and I thought I’d share them with you! I had to start with this product because this, in my opinion, it is the best thing since sliced bread. Unlike your typical block erasers, the kneaded eraser molds to any shape you want it to take. It’s fantastic to use when you’ve made a minute error since you can taper it to erase those fine lines. You also don’t have to press too hard to get it to work which may be due to its tacky nature (unlike other erasers that end up eating your paper…). Another great thing about this eraser is that it leaves absolutely no residue. I do recommend that you find a nice dry and lidded container for this eraser to store it in to avoid it mixing with dust and other particles that may be sitting on your desk. These Micron ink pens are probably one of the best out there. Not only are they affordable but they perform very well. 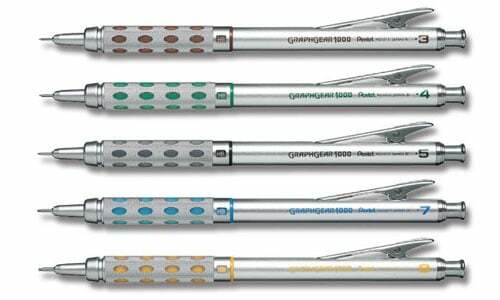 It glides smoothly on paper and leaves crisp ink lines with no bleed (for almost all paper). They also come in a pack of 6 with different thickness. 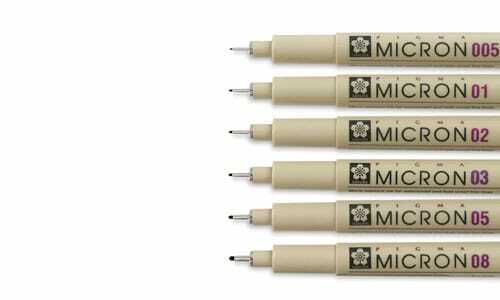 Avoid storing these pens lid down to avoid the ink leaking. This nifty little ruler is probably one of my favorites as it has a couple great features. It’s built with a see-through plastic body, so you know exactly where you need to create your line. It’s also built with tracks along the center of the ruler if you need to make multiple lines (which is great if you’re setting up guidelines). I do recommend that you only use this ruler for drawing lines and not as a guide for trimming with your craft knife. Speaking of craft knives, the Fiskars Fingertip Craft Knife is my absolute favorite. Its unique build allows for you to have it sit snugly in your hand, and use your index finger to control the depth of each cut. If you’re scrapbooking or creating mockups with intricate die-cuts, I recommend looking into this little product. What are some of your favorite items to use for designing? Hit us up on social and let us know! Watch a video of our show, The Humm, going through our designer’s toolkit. Learn more about our show, The Humm.